This book is packed with activities–make a mindfulness jar, learn how to appreciate food with mindful eating, and get out into nature and explore the outside world. An illustrated journal section at the back of the book encourages children to make notes about their own thoughts and feelings. 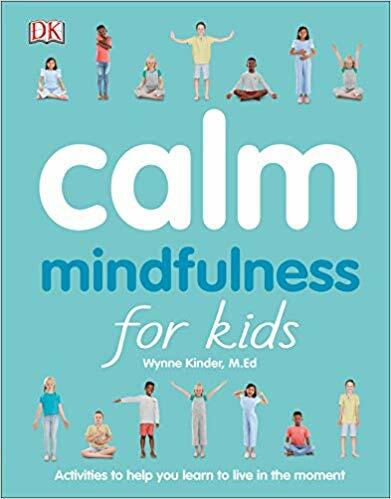 Calm: Mindfulness for Kids has everything you need to know about focusing your child’s mind to help them enjoy and appreciate things that they take for granted every day, while boosting their confidence and self-esteem. Children are guided through each activity, to make sure they achieve maximum enjoyment and awareness. All children will learn and react to each activity in a different way and parent’s notes give advice on how to encourage children to embrace mindfulness in the modern world. Each specially designed activity is flexible for each child’s needs and inspires them to seek calmness and tranquility in all situations. Mindfulness is something we hear a lot about in the news, media and research. It is an important to tool in the busy times we live in. It helps us to focus, pay attention and remain present in the moment. Sometimes, children can be overlooked and brushed off as being too emotional or acting out. Children feel a lot of emotions but many don’t have the tools to help them understand their feelings and how to process them. We need to teach our kids these skills in order to be successful later in life. What I really liked is this book is geared towards children. She writes to the child first – you as a parent can read a long and help but the child is the most important part in this book. She speaks to the child in a mature, open and caring manner that encourages your child to open up, read more and try each activity presented. She presents six chapters and encourages your child to move through them in any order they need – the choice is up to them. The chapters include: focus, calm, move, change, care and reflect. Each chapter has activities, crafts and exercises that they can do alone or with a parent or a friend. Each section has helpful tools to encourage your child to reflect on the activity, exercise or craft – this helps to reinforce the learning process. We started with rainbow breath and unwind stress – these were also amazing for Mom too! Our next craft to try is energy slime! This is an extremely thoughtful book for children of all ages to help them get in touch with their emotions, feelings and body and encourage a positive outlet for them. 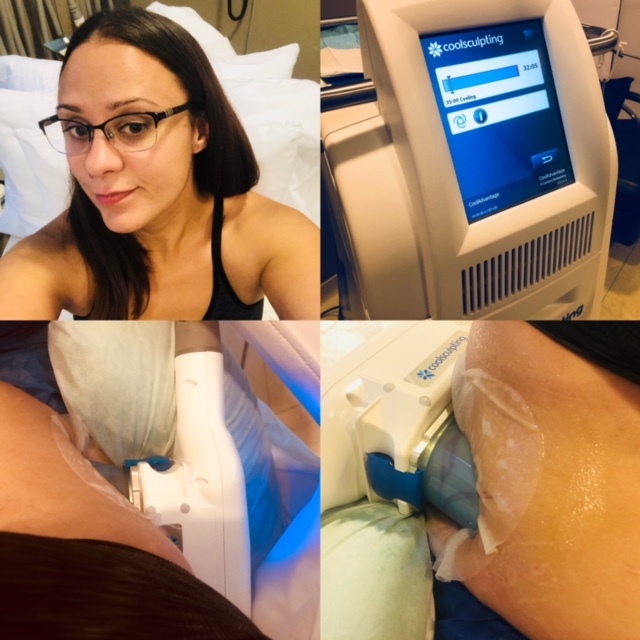 By now you are quite familiar with my weight loss and fitness journey as well as my very first treatment with CoolSculpting®, which I chose to have with the goal of achieving that extra confidence in my own skin after my weight loss. If you haven’t read my posts yet (gasp! 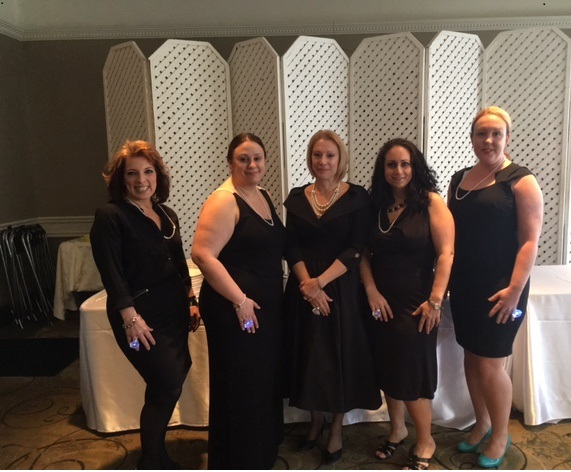 ), check out my weight loss journey here and my first treatment with CoolSculpting® here. I have always been proud of my weight loss and perseverance through some extremely difficult times along the way. It was an uphill battle and I had to learn to give up things that didn’t make me happy and focus on myself (not the easiest task for any parent). Sometimes though, I look in the mirror and I am frustrated. I can’t always see that weight loss (funny – I never used to see the ‘fat girl’ in the mirror either) and I can be so hard on myself if the scale moves up and if my pants feel tighter around my waist. Even with my maintained weight loss, I still have to be so careful to not slip into old habits. It is always too easy to skip a workout, eat that extra cookie, take that extra helping and the list goes on and on (why are the worst habits in life so much easier to do?). I have noticed in the last few months, with added responsibilities at work and taking on the Team Manager position for my son’s team (really what was I thinking – completely going against my own advice from my first post but I am a sucker for those little sweethearts on his team! ), I have not been as active as I used to be, I am feeling a bit more tired and I can notice the difference in my stomach and back area. Those little fat pockets can creep up so easily and they are so difficult to manage. I notice as soon as my stress levels get too high, my abdomen and flanks take a beating with extra fat storage. BUT that being said, you shouldn’t go out the next day and eat everything in sight or give up on your fitness routine. You would be defeating the hard work your body is doing in breaking down those frozen fat cells. You should be maintaining a healthy diet and still regularly working out using whichever form of exercise makes you feel good. All forms of exercise are important – from walking to yoga to strength training. She was fantastic and noted that while I did have some loose skin, I did have enough fat pockets that she could treat the area. We completed my first treatment with no side effects, no pain and I was able to resume all of my regular activities and work that same day. I can honestly say that it did not feel like I had a treatment done that day. On my next visit to Linda, she had me stand in the same positions as at my previous visit to take photos in order to get a good idea of how the first treatment worked. While it may be harder to tell from the photo (and I noticed that I was leaning a bit to the right in this picture and slouching with the angle of my shoulders which is a very bad habit I have picked up from working on the computer), I have noticed better definition down the sides of my abdomen as well as improvements in how the skin on my flanks and back feel. 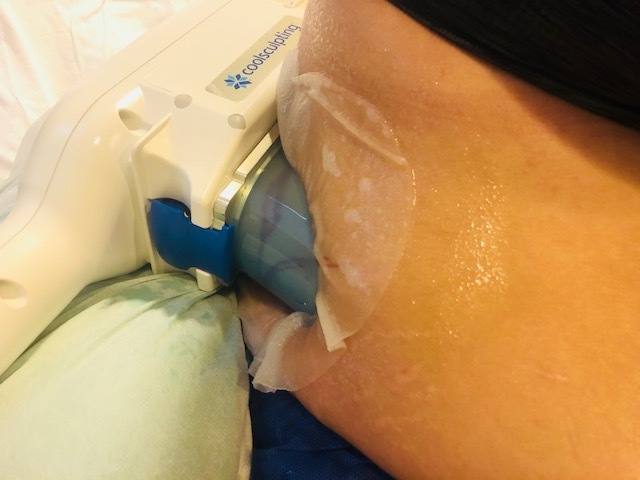 It was smoother with more definition and with less of a roll – it didn’t have that ‘squishy’ feel that it usually had which would have been where my fat was located. Have you ever just squeezed that fat roll? (I live in a house of boys, so we tease each other and laugh about things like this all the time!) I had less of that fat to squeeze. I left my second appointment with Linda feeling quite happy and accomplished. 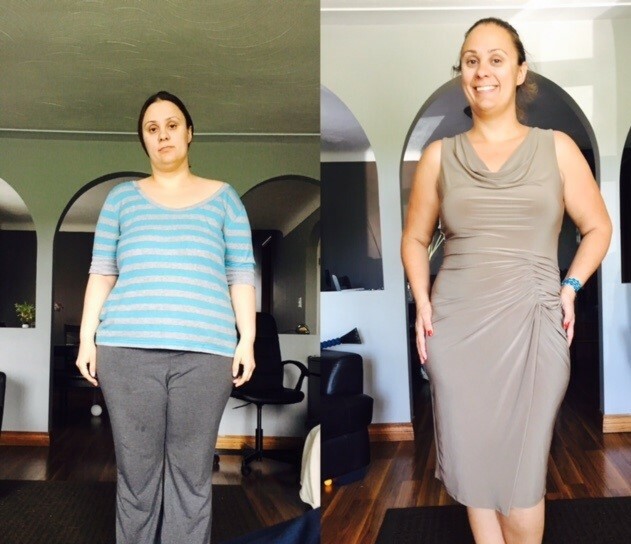 My visit with her reaffirmed what I had already been feeling – that my waistline felt smoother, more defined and I had less of those fat rolls on my back. 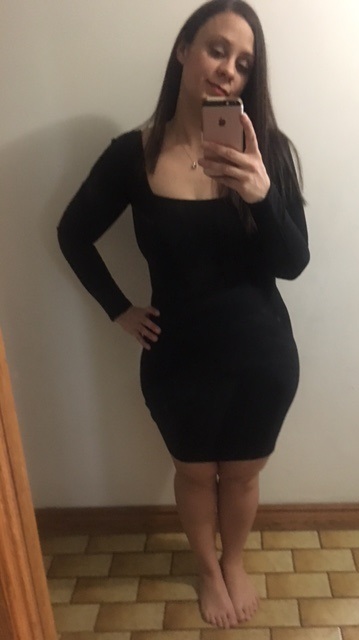 I also had the confidence to wear a tight dress again and to show off my curves and be proud. With everything that I had been through in the last two years, this was a huge step for me. I have come so far with my body image acceptance and I am finally at a time in my life where I love my body how it is. Remember to always book your consultation first with a CoolSculpting® certified clinician, this will ensure you are prepared with realistic treatment options, expectations and not disappointed. They will go over every aspect of the treatment to ensure you are mentally and physically ready. 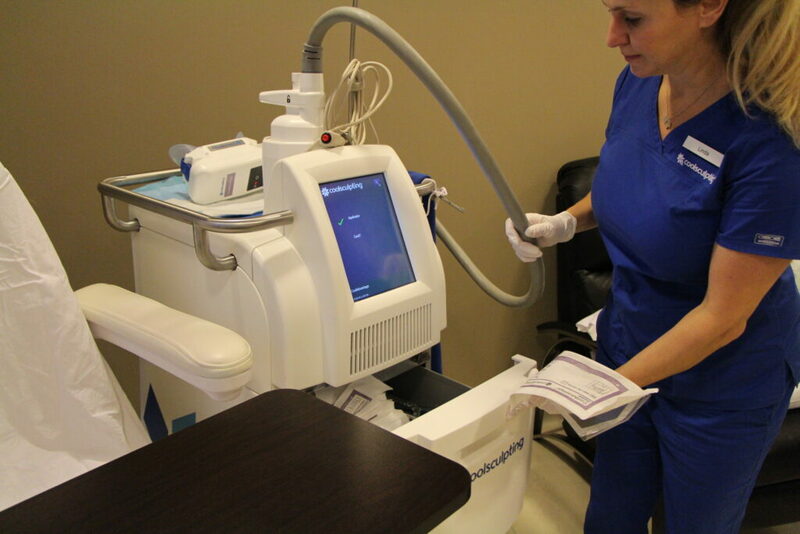 Treatment plans do vary based on your body type, so this step is incredibly important to ensure you know what to expect post treatment, you can visit http://find.coolsculpting.ca/find-a-center/ to find a qualified clinic in your area. Disclosure: I received the above mentioned CoolSculpting® treatment in order to facilitate this review. All opinions expressed are my own. [ii] Krueger N, et al. Clinical, Cosmetic and Investigational Dermatology 2014;7:201–205. [iii] Nelson AA (ed) Avram MM. 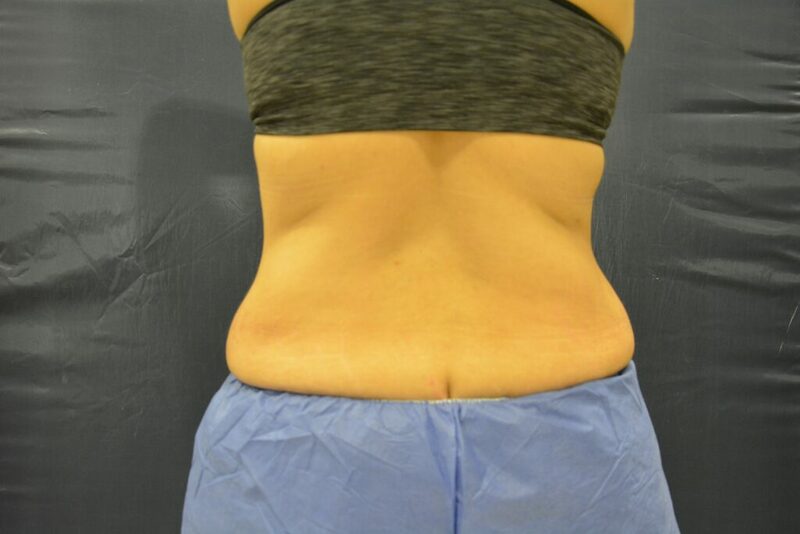 Fat removal: Invasive and noninvasive body contouring. Wiley- Blackwell; 1st edition. April 2015. ISBN-10144433428X. [iv] Zelickson B, et al. American Society for Dermatology Surgery 2009;35:1462–70. [v] Zeltiq Data On File. About CoolSculpting. 2017. [vi] Zeltiq Data On File. About CoolSculpting. 2017. [vii] Krueger N, et al. Clinical, Cosmetic and Investigational Dermatology 2014;7:201–205. [viii] Nelson AA (ed) Avram MM. Fat removal: Invasive and noninvasive body contouring. Wiley- Blackwell; 1st edition. April 2015. ISBN-10144433428X. [ix] Zeltiq Data On File. About CoolSculpting. 2017. [i] Nelson AA (ed) Avram MM. Fat removal: Invasive and noninvasive body contouring. Wiley- Blackwell; 1st edition. April 2015. ISBN-10144433428X. [ii] Klein KB, et al. Lasers in Surgery and Medicine 2009;41:785–90. [ii] Zeltiq Data On File. About CoolSculpting. 2017. [iii] Krueger N, et al. Clinical, Cosmetic and Investigational Dermatology 2014;7:201–205. [iv] Nelson AA (ed) Avram MM. Fat removal: Invasive and noninvasive body contouring. Wiley- Blackwell; 1st edition. April 2015. ISBN-10144433428X. [v] Kilmer SL. Lasers in Surgery and Medicine 2017;49:63–68. I had spent the last ten years giving everything I could of myself to others – I wanted to be the best mother, wife, daughter, employee and friend. I have always been a person that enjoys giving to others but this time I had let it get too far and had put my own needs so far down my list that I never addressed them or took care of myself. 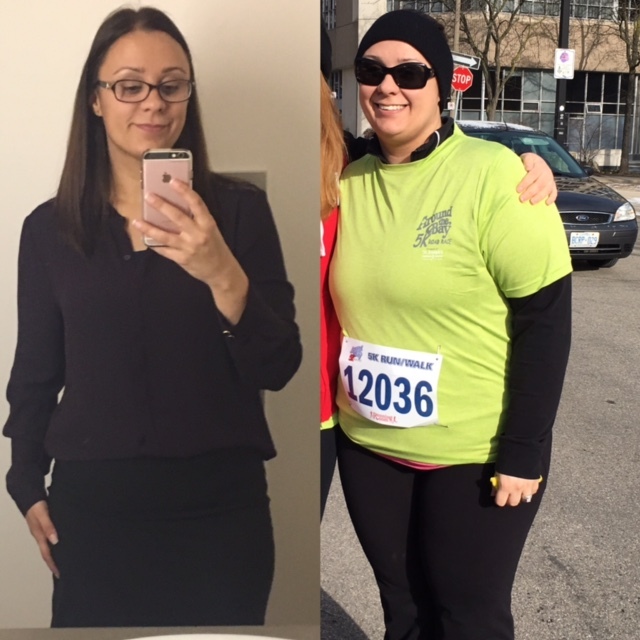 I found myself at a point where I had gained over one hundred pounds, making unhealthy nutritional choices, not participating in any physical activity and depressed. I gave so much of myself to others, that by the time it came to take care of myself, I was too exhausted and I had no more to give – I let myself go. I made several attempts to get back on track but each failure on the scale or during a workout was frustrating and seemed to put me two steps backwards. I couldn’t figure out what I was doing that was so wrong. 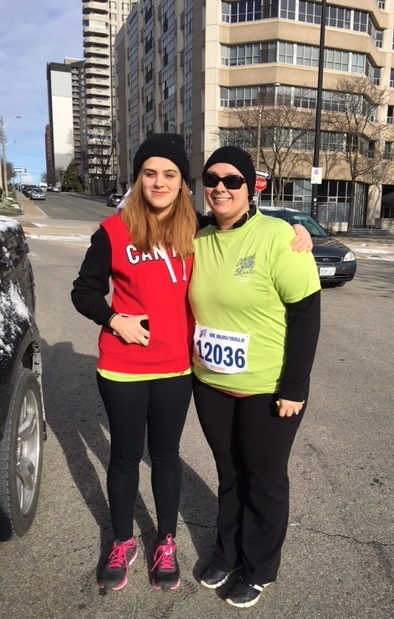 I had the educational background in Kinesiology and I spent my teenage and early adult years being active, so how could I be failing so badly? I was in utter and complete denial. Denial that I was stretching myself too thin, denial that I was being as active as I should be and in denial that I was making healthy food choices. The truth was I over eating, I was making bad food choices and was consuming far more calories than I was burning. When I looked in the mirror, I didn’t see the same person that others were seeing but it was affecting every aspect of my life. I would wear baggy clothes to hide my body, I was hiding from photos, I would only allow photos to be taken at certain angles and specific body parts and I was seeking help from my family doctor for depression. It was after the birth of my second son and my husband took a photo of us together outside the doctor’s office that I was horrified. I could not believe that the person in the photo was me. I did not recognize the person that I had become and I knew that this was enough – it was time to put me first. I decided to make the hardest and most important decision of my life, to put me first. I was going to wake up and allow myself time to go to the gym without worrying about anyone else’s schedule, breakfast or lunch (within reason), I was going to eliminate the unhealthy food choices from my diet and I was going to allow myself to say no to taking on roles that I did not have the time to do (goodbye PTA council!). I had to make this choice for me, not only for me to feel better about myself but also for my health. Over the course of a year, through a lot of hard work, determination and sacrifice I was able to lose just under one hundred and twenty pounds. It was exhilarating, not only was I happier but I found that part of me that I had lost. I wanted to get outside and play soccer with my kids, I wanted to be in the photos again (I can’t believe the years I went without taking a photo with my kids because I was ashamed) and I was confident. I was able to cut back on my anti-depressants and I stopped using food as a coping mechanism (which is the hardest thing to do – food was my comfort and even now I struggle with this). The best part of it all? Loving myself again. I knew this girl again, I was happy, confident in my own skin and took charge of my future. I refused to sit back and be a minor character in my own life. First – download a calorie counting app and record everything you put in your mouth. Be brutally honest and record every last bite. You may be generally surprised at how quickly calories add up in a day. Using that knowledge, make healthier food choices (I increased lean protein and vegetables) and measured everything. In the beginning, I purchased a lot of pre-packaged portion meat so that I knew how many calories I was eating but you will get better. Second – purchase or download a step counter on your phone and really watch how physically active you are. It is not enough just to make your step goal (and aim big!) but you should also be physically active for at least thirty minutes consecutively in a day. Find an activity that you like to do and dedicate time to it – I found a love of yoga this way. Third – be kind and patient with yourself. Give yourself a lot of emotional and mental love. You didn’t gain weight overnight and it won’t disappear overnight. While I have come a long way, I STILL have stubborn areas of fat that I just cannot get rid of despite my efforts in the gym and in the kitchen. I am sure so many of you can understand this feeling! It sometimes feels like no amount of exercise and healthy diet choices will fix those areas. You are not alone and you are not crazy – this happens to so many men and women. I am a firm believer of empowering women (and men) to do the things that make themselves happy and that lift their confidence up. This could be anything from as simple as a piercing or a tattoo to a minor plastic surgery enhancement like Botox or a procedure to remove fatty tissues. We all deserve happiness and confidence in our own skin, so do what makes you feel good! 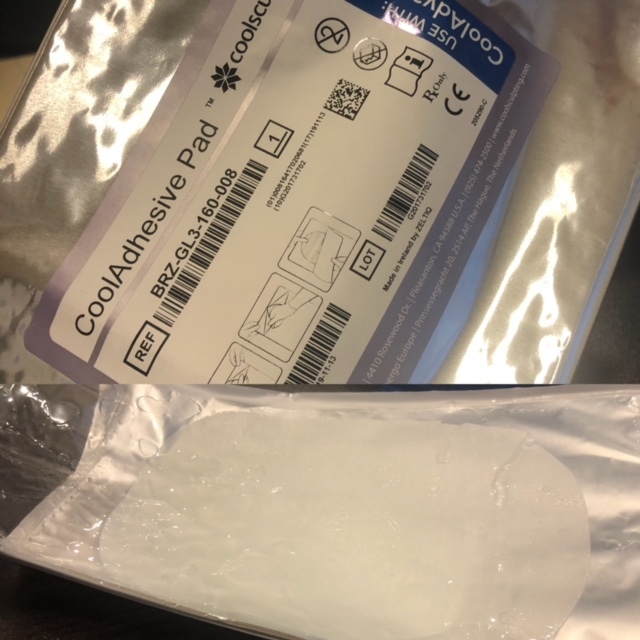 CoolSculpting® is a procedure that was developed several years ago and is designed to target specific areas of the body visible fat bulges on the abdomen and “love handles”, inner and outer thigh, and bra and back fat (how many of you can relate to these stubborn and common fat areas – I know I can!). (1). 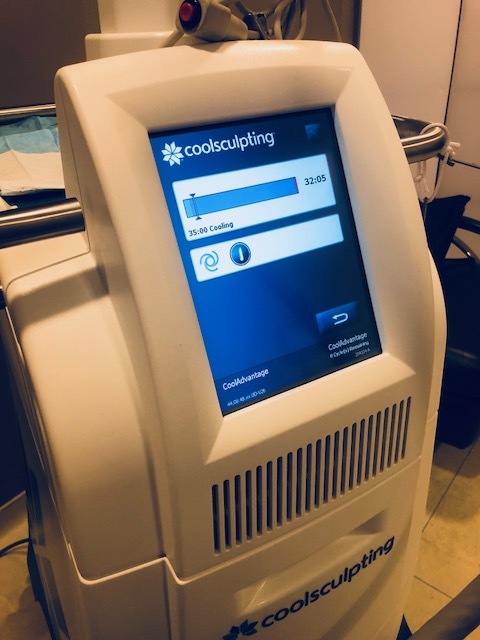 While I have a list of areas that I think are a problem and that I do not like, I strongly believe that every individual needs to take the time to consult with a qualified CoolSculpting® clinician to discuss their body and concerns and in turn have them examine your body. Together you can create a treatment plan that is reasonable, meets your goals and will achieve the results that you were originally looking for. 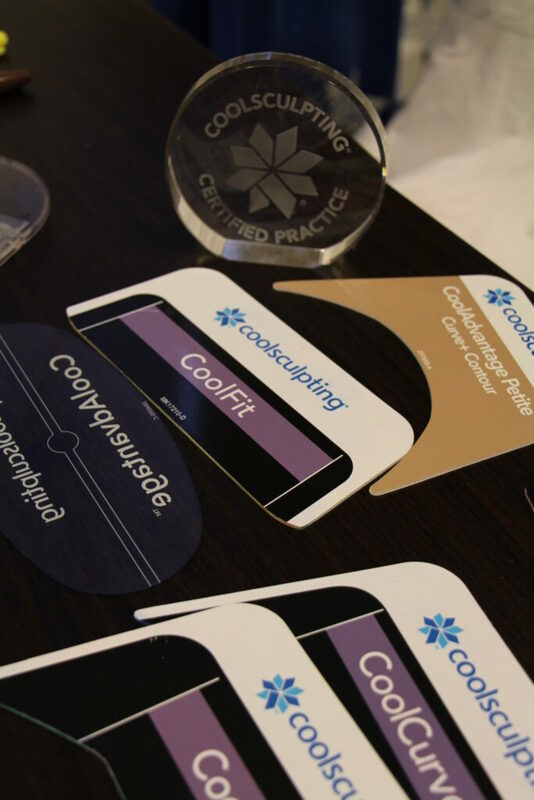 Never, ever skip this very important part and always ensure that the clinician you are meeting with has been certified by CoolSculpting® so that you will not be disappointed. I met with Linda at The Plastic Surgery Clinic in Mississauga and she floored me with her knowledge and passion about the CoolSculpting® procedure (she is CoolSculpting® certified if you hadn’t already guessed). She addressed all of my concerns and took the time to explain each of my problem areas and which area would be suitable for treatment and which ones would not. It is often quite hard to talk about our own body and while most times I am not shy, it can be embarrassing to admit that I have fat and I can’t get rid of it. I am not ashamed of my body or my weight loss but it can be hard to open up to another person about it especially with someone you have never met before. 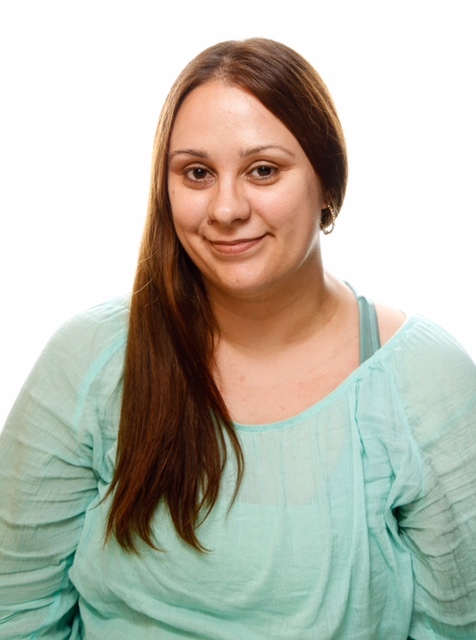 Linda was kind, compassionate and never made me feel embarrassed about my body, she made me want to talk to her about my concerns and discuss potential treatment options. I learned that because of some of the extra skin around my stomach area from the weight loss that this would not be a suitable area to treat because when the frozen fat cells are naturally eliminated it may leave me with additional loose skin. My hips, while I feel like they are huge, did not actually meet the criteria for treatment and the picture below illustrates why – the bulge of fat would not fit into the applicator and would not be an effective treatment. I also noticed that my left and right side are quite uneven, go figure how the body works! Linda made me feel confident that the areas she wanted to treat (flanks) were reasonable areas and that I was not going to waste my effort and hopes on an unrealistic treatment. She was open and honest and worked with me to answer all of my questions and explained my potential end result. CoolSculpting® works by gently cooling targeted fat cells to 4°C to induce the controlled elimination of fat cells, to help sculpt your body. (5) Essentially, it freezes fat away. 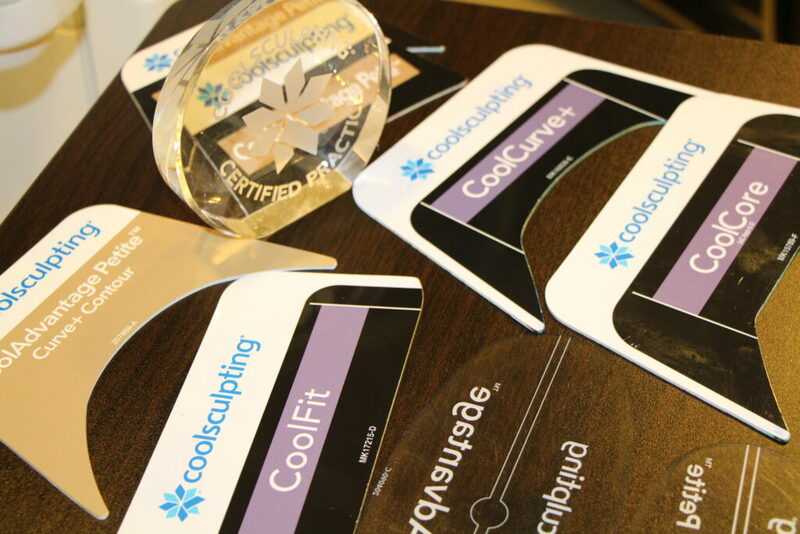 I left my appointment with Linda feeling excited, nervous and very much ready to try CoolSculpting®. 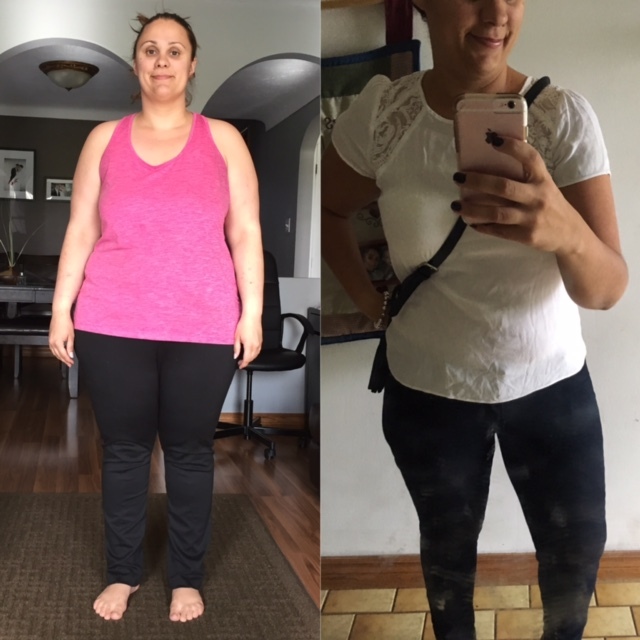 I finally felt like I had a reasonable amount of control over my body, the stubborn fat I just couldn’t get rid of and I couldn’t wait to give those fat cells a shock! Check back in two weeks for all the details on my first CoolSculpting® treatment at The Plastic Surgery Clinic! Disclosure: I received the above mentioned Consult and CoolSculpting® treatment as part of my participation in the program and in order to facilitate this review. All opinions expressed are my own. 1. Zeltiq Data On File. About CoolSculpting. 2017. 2. Zeltiq Data On File. About CoolSculpting. 2017. 3. Zelickson B, et al. American Society for Dermatology Surgery 2009;35:1462–70. 4. Zeltiq Data On File. About CoolSculpting. 2017. 5. Zelickson B, et al. American Society for Dermatology Surgery 2009;35:1462–70. 6. Krueger N, et al. Clinical, Cosmetic and Investigational Dermatology 2014;7:201–205. 7. Nelson AA (ed) Avram MM. 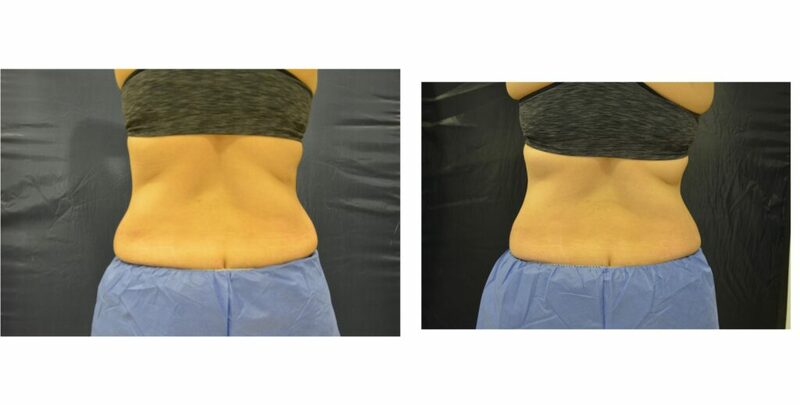 Fat removal: Invasive and noninvasive body contouring. Wiley- Blackwell; 1st edition. April 2015. ISBN-10144433428X. 8. Zelickson B, et al. American Society for Dermatology Surgery 2009;35:1462–70. 9. Klein KB, et al. Lasers in Surgery and Medicine 2009;41:785–90. Are you looking for renewed energy, relief from stress, improved sleep, and much more? Then Practical Ayurveda is for you! Practised in India for millennia, Ayurveda means life-knowledge – it reveals the path to ultimate wellbeing by identifying your individual characteristics and patterns of health, and showing you how to bring balance to your life. Find out Ayurvedic body type (prakriti) through a simple self-assessment questionnaire, and learn how to adjust your diet to suit your body type using recipes and ingredient lists, stretch and energize your body through yoga, and focus and relax your mind with meditation and positive thinking exercises. You can also look up home therapies and remedies for a variety of common ailments. Whether you’re adopting this ancient lifestyle practice yourself, through your yoga practice, or as an alternative therapy, use Practical Ayurveda to apply its wisdom to your modern lifestyle. Roughly about three years ago, I introduced yoga into my weekly routine. What started off as just a trial became something I fell in love. I love my daily sessions both in class and at home. It helps me to shut down the negativity and everything that is bothering me, embrace quiet and thoughtfulness. It helped that I had an amazing teacher who embraced the lifestyle. My only fall back? I didn’t know how to incorporate the whole body practice into my day-to-day. I knew I loved yoga but that is just one small piece of a bigger picture. This book helped me to fully immerse, understand and appreciate the Ayurveda lifestyle from diet to sleep to exercise. It gives a great history and explanation of all the terms that you may have heard but didn’t quite understand. I loved the questionnaire that was included in this book to help determine which of three Ayurvedic body types you were because without determining this you would still be at square one. After completing this, you can either head straight to the sections that pertain to you (which are easily identifiable) or you can read through each body type to get a better understanding and appreciation of the complete lifestyle. One of the best parts of this book is how they help you to introduce and adopt this lifestyle into your own daily routine. It isn’t a list of twenty things to do right now (but hey if you can do that all the power to you!) but instead introduce these items first and get into that routine, the following week add this and so on. It isn’t meant to be an instant, incorporate every aspect of the book into your lifestyle. I think we have all tried to do this before with any lifestyle change and from experience know that this doesn’t always work. This book will help you succeed in adopting these changes and arm you with the knowledge of why you are making these changes. 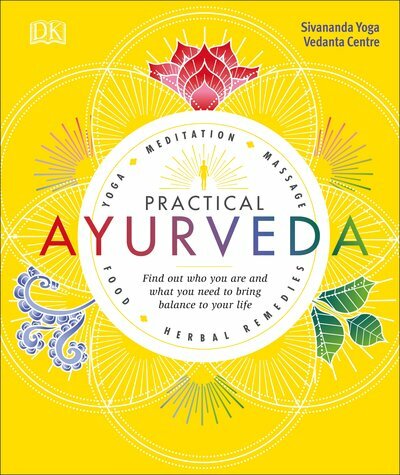 This book is an incredible resource and starting point for anyone that is interested in learning more or adopting the Ayurveda lifestyle. It includes step by step instructions, history and meaning of terms, recipes, stretches and yoga poses and much more to aid you on your journey. It is written in clear, precise and easy to follow manner which is perfect for beginners to more advanced individuals on their wellness journey. You can purchase a copy of this book on Amazon and DK Canada.